1 pair SIZE GG tweezers. 5 Inch or 12 cm pointed, stainless, antimagnetic. 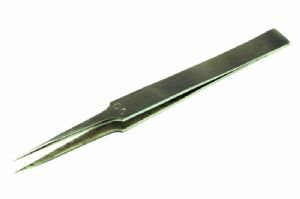 We have a variety of other tweezers available so please check out our other listings.